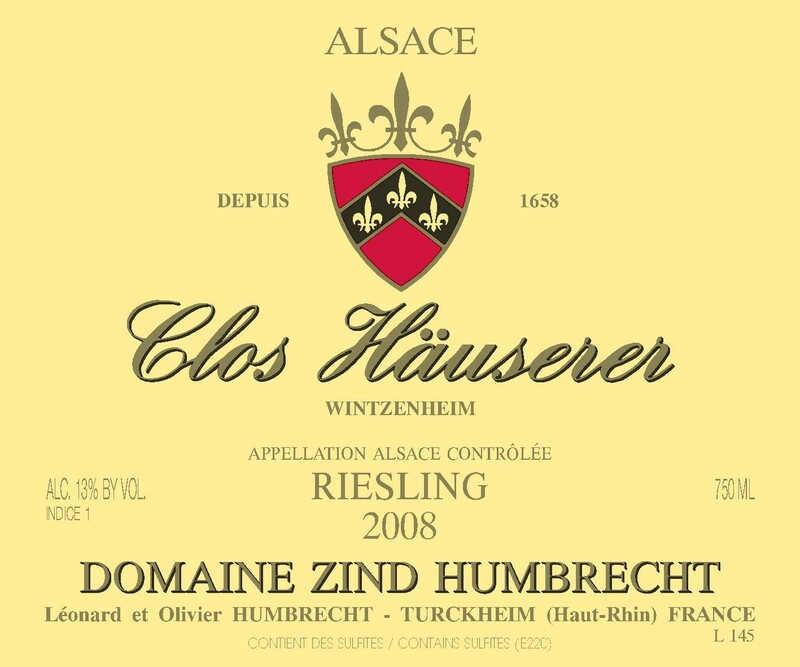 The Clos Hauserer is nestled at the bottom of the Hengst, just under the limit of the GC vineyard. If both vineyards have the same Oligocene Calcareous mother rock, the Clos Hauserer soil contains more Marl. Being almost flat, it also benefits from less sun intensity, which increases the time required by the grapes to ripen properly. The rich, heavy Marl can sometimes generate more vigorous growth, especially on young vines, but this vineyard has now reached a balance due to its age. If noble rot can be avoided, it is relatively easy to harvest the grapes healthy and at a level of ripeness than can guarantee a steady fermentation until most of the sugars are transformed. It is also a vineyard that has the potential to keep good acidity and makes wines with a long ageing potential. The 2008 finished to ferment in October 2009. 2/2010: the nose is at the same time intense, but also incredibly refrained. It has lots of minerals, wet stones and underlying citrus fruits. This the way Riesling tastes on a great calcareous soil! The palate is racy, crisp, very vivacious and long. Not intensely aromatic, it gives the sensation of discreet power and length. The palate provokes salivation while finishing dry.